Kanika Tandon, a young and emerging make-over artist has launched her first flagship Make-up Studio in Delhi to offer trendy yet chic make-up looks. After polishing skills with leading magazine’s photo shoots, international models’ portfolios, ad shoots etc., young entrepreneur Kanika Tondon has launched her first Make-over studio, named as ‘Kanika Tandon Studio’ in busy streets of Panjabi Bagh in Delhi. The concept of the studio is unique and luxurious, which aims to ensure quality work and customer satisfaction. The studio also offers a dedicated cabin to each client, with other possible facilities like separate change room and a card key system to ensure safety and security of their belongings. 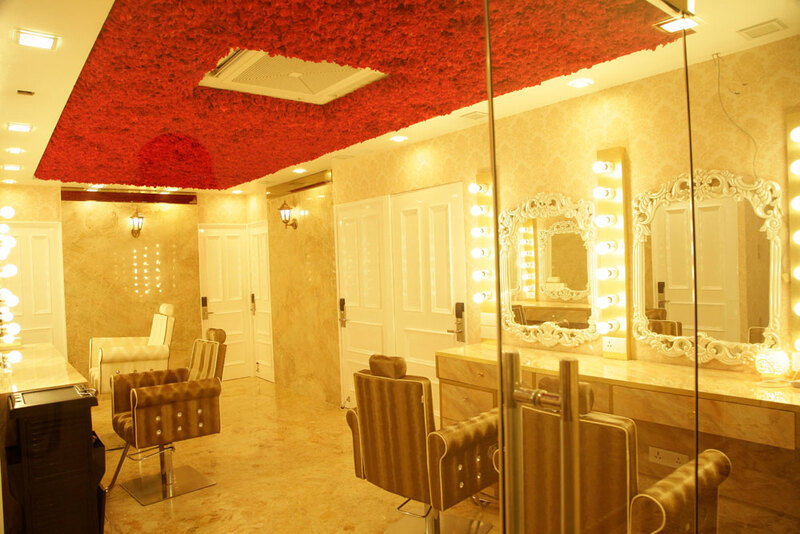 The central make-up area in the studio is designed in a manner that only the one who owns an automated access cardmay enter the room. The arrangement has been made to ensure that the artist won’t get disturbed while exploring her creativity, as she puts in her best in terms of makeovers, by understanding the clients demand and expectations. To maintain quality service and providing maximum attention to the client, Kanika Tandon Studio book only 6 appointments in a day, in a given time slot. The studio décor exudes charm, vibrancy along with modern state-of-art, complimented by bold and bright lighting, mirrors, which gives positive vibes to the artist as well as the client for a different experience altogether. Tandon, who holds a degree in makeover from Pearl academy of Fashion, began her career with freelancing assignments and gained fame with her par excellence makeover skills on Indian bridal make-up. Apart from this, she also gainedadequate experience in outdoor shoots with international models, leading photographers, creating on-vogue make-up looks for magazine portfolios, ad shoots and more. Zydus ties up with US-based NIAD..